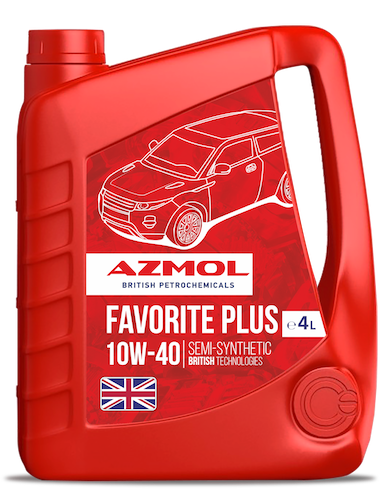 AZMOL Favоrite Plus 10W-40 – semi-synthetic all-season engine oil. Designed for modern gasoline and diesel engines equipped with turbocharging and catalyst, cars and vans. It is also used for engines running on gas fuel. Ideal for city traffic in the "start-stop" mode.